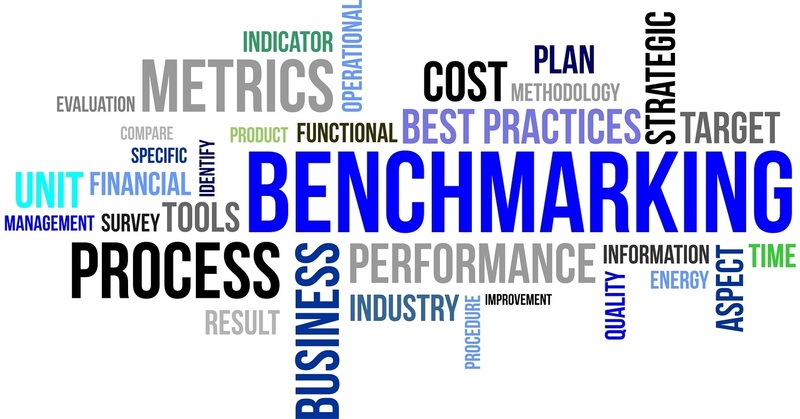 Benchmarking – what is it and why bother? Are you sick of hearing the word already? Benchmarking has become a hot topic for associations. The 2008-2009 downturn prompted many associations to assess their performance and the value they deliver to members. Benchmarking is being used to set a base level for associations to track their own performance growth and as a tool to compare themselves to other associations. A benchmark is a standard or indicator against which something can be assessed. An example of a benchmark is the number of members you had at the end of your last fiscal year. If you track your membership at the same time every year you can assess your performance in attracting and retaining members. This is an internal benchmark. It’s only relevant to your association. It shows you how you are performing this year compared to last year. An external benchmark is an industry statistic or standard that allows you to compare your association with your peers. A simple example of an external benchmark is the average annual growth rate for Canadian membership associations. If you are tracking your membership numbers annually, it is a simple calculation to track your growth rate each year (# of members at end of this year / # of members at end of last year) * 100. If you know that your average growth rate over the past 5 years is 10% and the growth rate for comparative associations is 5% then you know your membership growth is higher than your peers. But what if your peers aren’t doing very well in that area? Is it good enough to know that you’re doing better than average when the average is rather poor? This is where best practice benchmarking comes in handy. Benchmarking is the process of comparing an internal performance metric (e.g. membership growth) to an internal or external benchmark. One example of a best practice external benchmark is the High Performance Membership Organization™. This allows you to measure your performance against industry best practices. Why should we bother to do benchmarking? Members are holding their associations to increasingly high standards. More is being demanded of members in their own workplaces and having both the time and the money for membership activities is challenging. So members are expecting more from their associations. The leading associations are finding ways of demonstrating excellence to their members and stakeholders. So why bother? If you’re an association CEO or director, you’re managing a business. If you know your business metrics and focus on performance, you’re doing your job well. If not, it’s like forgetting to put your trousers on before you walk out the door.